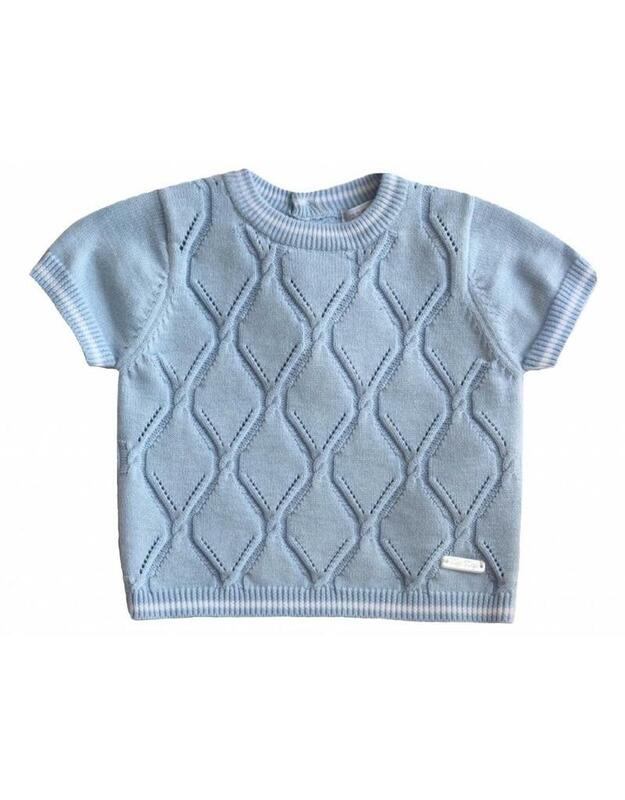 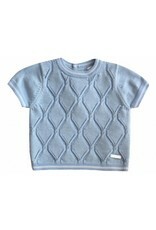 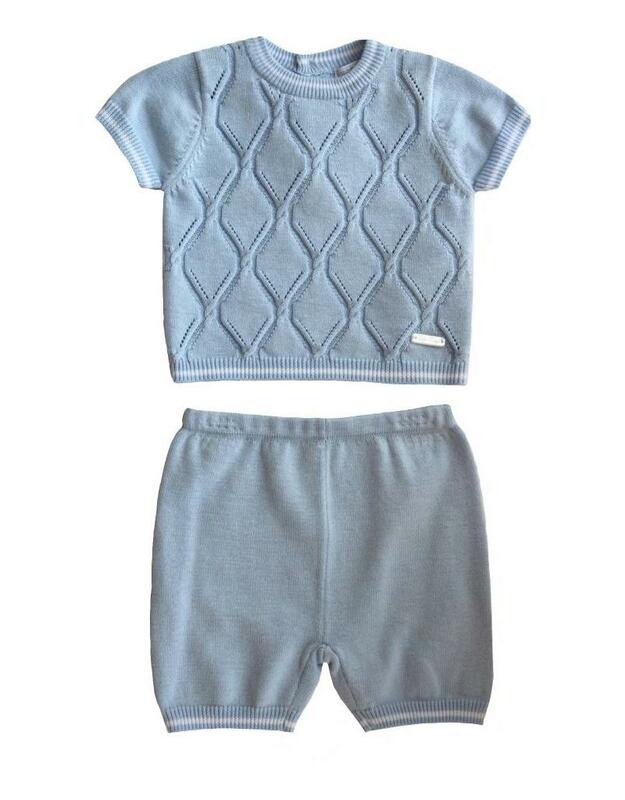 Baby boys blue knitted set. 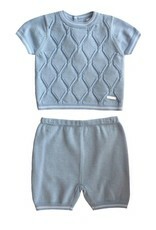 The top has a diamond pattern with white stripe detail to edges, comes with elasticated shorts to match. 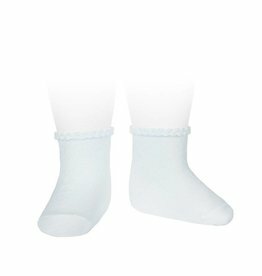 Condor Wide Rib Basic Knee-High Socks in colour LIGHT BLUE. 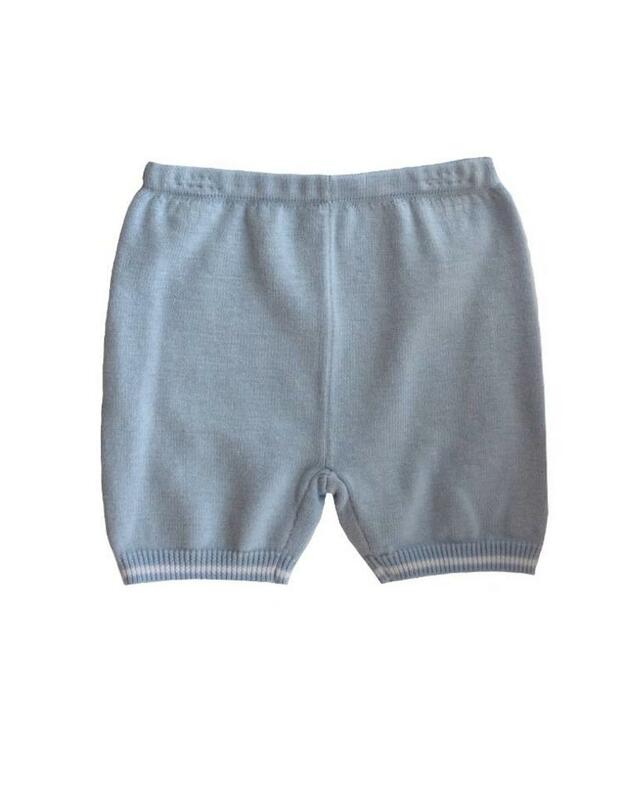 Condor Ceremony Pattern Cuff Short Socks in colour PEARLY. 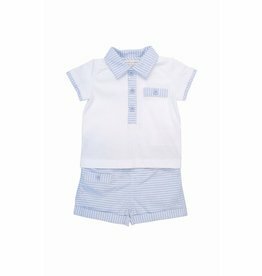 Double layer effect top with striped collar and pocket detailing, and buttons at the neck. 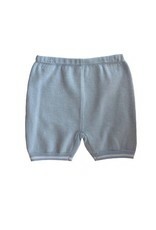 Woven yarn dyed striped shorts to match.